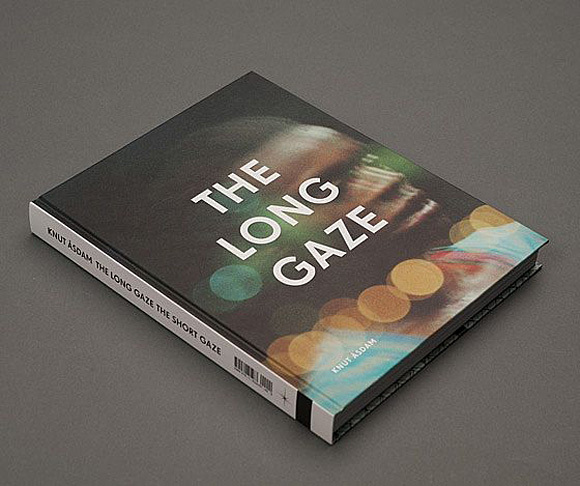 The Long Gaze The Short Gaze presents a collection of newly commissioned texts that address Norwegian artist Knut Åsdam’s most recent films, Abyss and Tripoli (both 2010), and places them in a retrospective context of Åsdam’s film production since the 2000s. The book, a result of Åsdam’s 2010 exhibition at Bergen Kunsthall, is richly illustrated with images from Åsdam’s films, video, photo, and installations works. A central practitioner of contemporary film and video art, Åsdam has always worked independently and uncompromisingly on his artistic projects. Åsdam is occupied with the potential of narrative cinema and the scopic field, and has long explored the language of film and its constituent components. Consequently the filmic is a primary theme in this publication. Transformation and relocation constitute a thematic framework for most of Åsdam’s works, which engage the psychological, social, or bodily experience of changing urban environments. The actors in the films respond to economic, linguistic, identity-related, social, physical, or architectural processes of change, and narrate these elements as being both internal and external to themselves. Underlying this is an awareness of the ever-changing meaning, experience, and expression of architecture and society, particularly when encountered by distinct social groups. Even more than in previous works, the places portrayed are themselves fundamental to his new films, not only as generic urban surroundings, but also with their diverse histories, demographic conditions, and architectures. Kaja Silverman’s comprehensive text looks at the development of language of desire within Åsdam’s works, from the early hypnotic video performance Come To Your Own (1993) through to the film Abyss (2010). Philippe Pirotte engages Åsdam’s films with the idea of the zombification of subjectivity in the relationships between personality and society. And in Simon Sheikh’s contribution, he discusses the post-identitarian coupling and ethics of looking in Åsdam’s films.